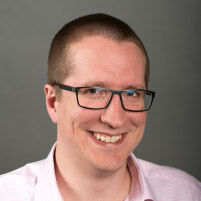 Sean is an internal enterprise agile coach with IHS Inc, working in Calgary, Alberta, Canada. Prior to joining IHS, Sean worked in the defence industry, including working on the ground-control software for the US Army's unmanned aerial vehicles. Sean has 13 years as an Officer in the Canadian Army Reserve, and has deployed to Afghanistan, and likes to point out that the military is far more Agile than is often assumed. Sean has spoken at several Agile conferences, including the Global Scrum Gathering New Orleans, Agile India, and co-authored an experience report for Agile 2015. He has a strong interest in the relationship between Agile and leadership. IHS is a global company with over 8000 employees that provides information and analytics to multiple industries, including energy, automotive, electronics, aerospace and chemicals. Are High Performers Killing Your Team? Collaboration is the foundation of Agile teams. Then why do we focus so much on the performance of individuals? Want better collaboration? Get rid of your high performer. Chris and Sean will demonstrate through a series of skits how strong personalities can get in the way of team performance, and how collaboration skills can help overcome this. Language is the medium by which individuals interact. Our language expresses our values -- what we care about (and what we don't). Language defines our relationships with our team. What can our language tell us about whether we are "self-organizing team" or not? In this talk, Sean explores how the subtle ways in which our words influence team dynamics and how we, as team members, can influence team values and collective ownership through deliberate use of language. The team's use of language is important to ScrumMasters, Agile manager sand leaders as it provides us an insight into the values our team members. By being attentive to the team's the use of language, we can identify where the teams' values align or diverge with Agile principles. More importantly, ScrumMasters and leaders can guide the team towards Agile values and principles by deliberately influencing the team's language. Sean will relate this through common, recognizable speech patterns -- the familiar phases we routinely hear in standups, planning meetings, retrospectives or day-to-day development. These common speech patterns (or anti-patterns). Through examples of alternative phrasing, Sean will provide tangible tools ScrumMasters can use to challenge the team to think in new ways. This is about agile “anti-patterns”: “something that looks like a good idea, but which backfires badly when applied” (Coplien). Todd has been around agile development from before it was called agile. In that time, he’s seen teams fall into the trap of many of these anti-patterns, becoming stuck without ever realizing it. Frequently, this is due to a dogmatic understanding of what is right and wrong about Scrum and agile development. The first step to getting unstuck is to be able to detect these “sins.” The presentation aims to expose teams to these common pitfalls and then also provide a vision for a virtuous path to take them to the Promised Land. Dealing with uncertainty is one of the largest challenges that teams face. The simulation aims to have levels of uncertainty in value and delivery that are commensurate with those found in software development. Some of the key tools for dealing with uncertainty are integrated into the simulation.